"The gun alone weighed around 15-23 kg (including a full water jacket) and the tripod a further 18-23 kg." Developed in the early twentieth century, the British Army formally adopted the Vickers gun as its standard machine gun in November 1912. 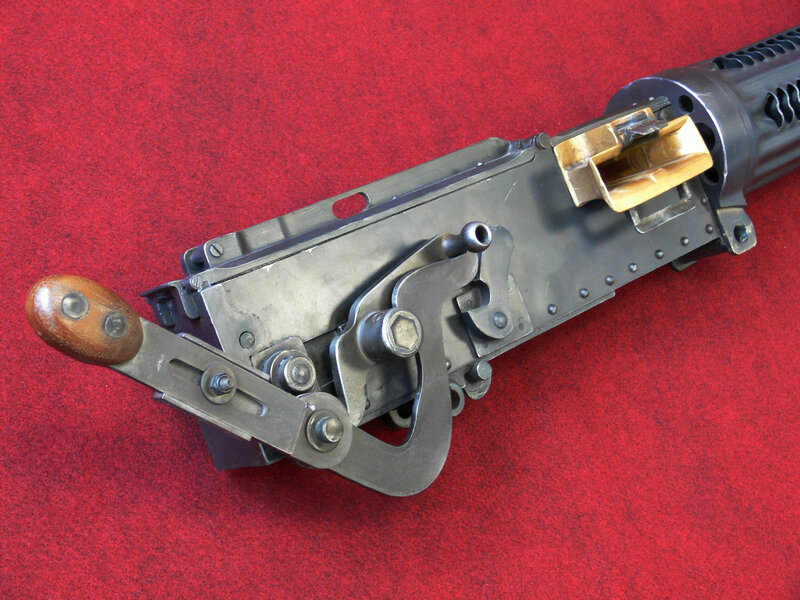 With its locking mechanism reversed so that the toggle breaks downwards, the Vickers is otherwise based entirely on the Maxim gun. The same water-cooled design was used, but the Vickers was much lighter and had an added muzzle booster. 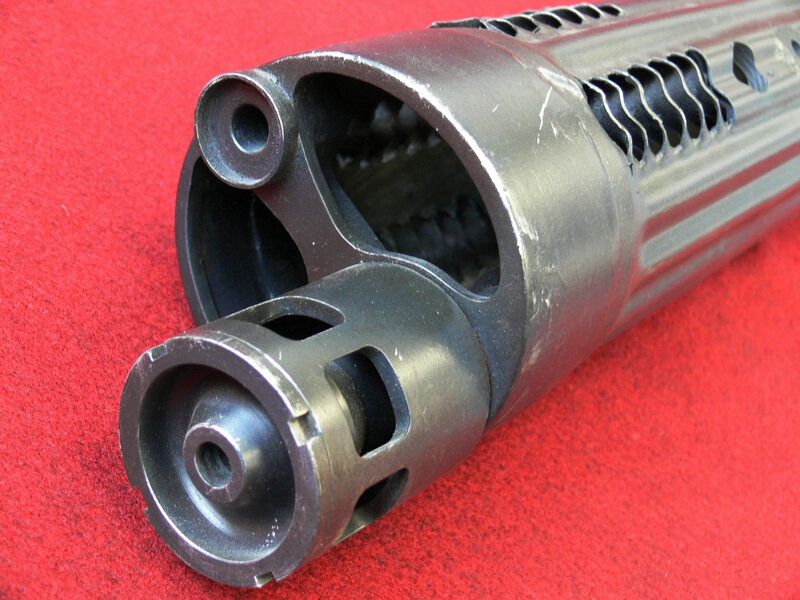 Although very reliable and capable of firing hundreds of thousands of rounds non-stop (with barrel changes every hour or so) the Vickers did experience some jamming problems due to the rimmed .303 ammunition it used. With the introduction of the Lewis gun on the Western Front, the Vickers became classed as a heavy machine gun and was withdrawn from infantry units. The new Machine Gun Corps were formed with one hundred men to each company and a team of six men to each Vickers. Even though it was lighter than the Maxim, the Vickers was still rather cumbersome. The gun alone weighed around 15-23 kg (including a full water jacket) and the tripod a further 18-23 kg. Throughout WWI the Vickers gained a great reputation for solidity and reliability amongst infantry and the later formed Machine Gun Corps. It saw use as an aircraft weapon with the French and British and was fitted to Sopwith Camels and the Spad XIII. The gun was usually fitted with a form of synchroniser gear to allow it to fire through the propeller blades and slots were cut in the water jacket so that it was cooled by air rather than water, which became common practice with machine guns on WWI planes.